This pop star icon would be great for a British, music themed party. The costume comes with jacket, vest, shirt, pants,with optional and extra wig, glasses,hat. 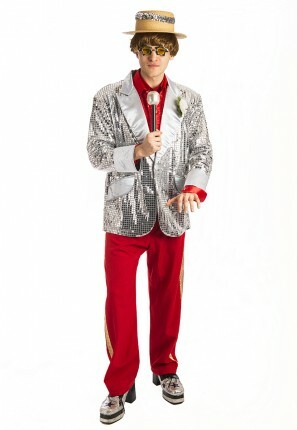 You too can be a music man in this Elton John costume for hire.